Washington, famously known as the Emerald state, is one of the most beautiful states in the USA. 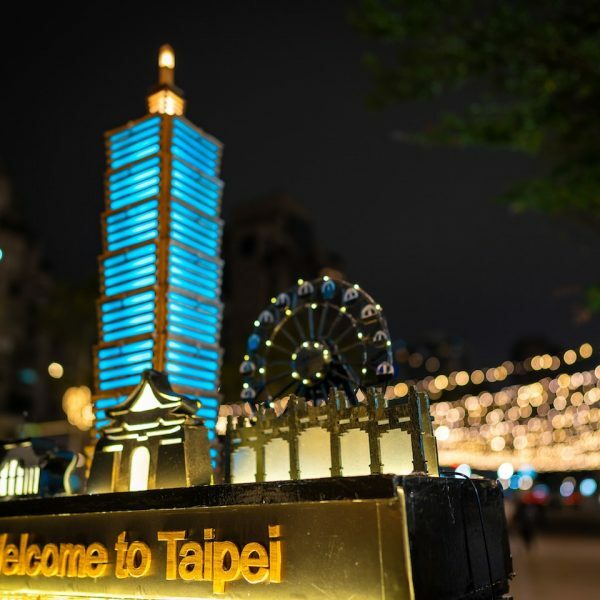 With the variety of options available you can never run out of things to do here. Be it a walk to the colourful Pike Place market, a ferry ride to the nearby islands, sunset by the pier, strolling in the scenic parks – the list goes on. 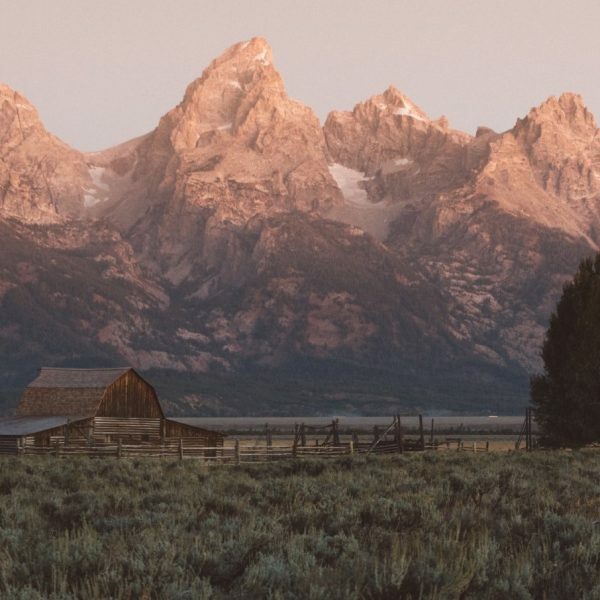 After spending a year and exploring as much as possible, here are some of my favorite weekend getaways that have progressively made me fall in love with this state! 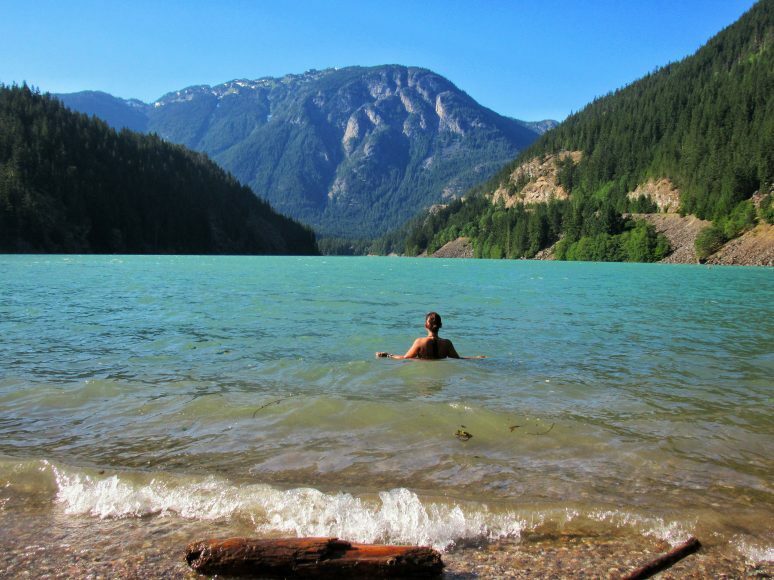 Located in the Northeast of Washington, it is one of the most pristine lakes. It inevitably stands out from the rest because of its turquoise blue water and mesmerizing view of the Northern Cascades encompassing the lake. It’s a reservoir created by Diablo dam and is right in between Ross Lake and Gorge Lake. Try and resist taking a dip in the water (the water is freezing cold due to melting glaciers). It’s perfect for kayaking and tubing during summer! Ross Lake is right across the street from here and has a campsite where you could stay for the weekend. You could also explore the North Cascade National park which is close-by. If you are looking for an offbeat adventure in a lazy town hidden in the most south-west of Washington, Long Beach is a great option! It’s one of the seven wonders of the Washington State and is claimed to be the longest beach in the world. It is officially a state highway that has a speed limit of 25 mph. 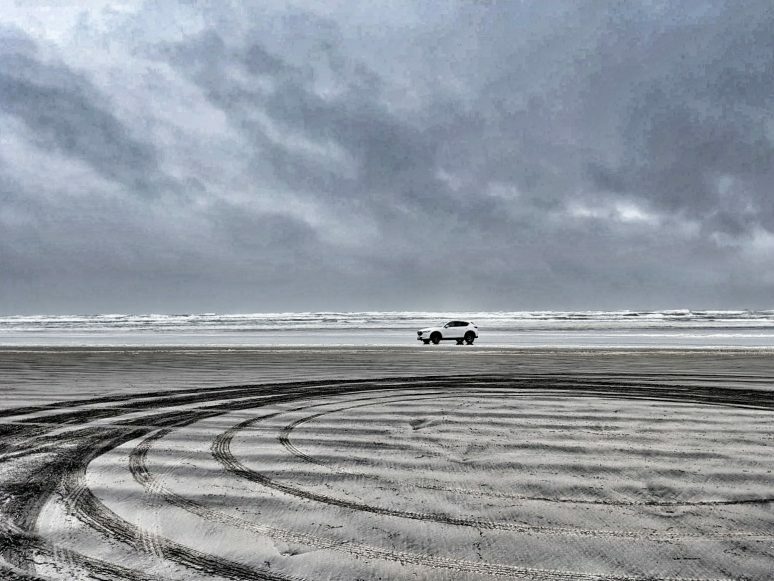 While you are driving on the beach, feel free to spin some donuts. Cape Disappointment state park is one of the more adventurous state parks. Make sure you see the Deadman’s cove in the state park and be ready to be blown away by the wind! Savor some food and drinks in the most welcoming bars and restaurants in the town of Long Beach. If you are here around August, the International Kite festival is something you cannot miss. I had heard a lot about the islands surrounding the state and had this crazy urge of visiting each one of them. Although I am very close to covering all of them, San Juan Island is my favorite so far. There are a number of outdoor activities to engage in. One of my favorites is kayaking with the Sunset Kayak tour around Lime Kin State park and if you are lucky you might also get to see the orcas. 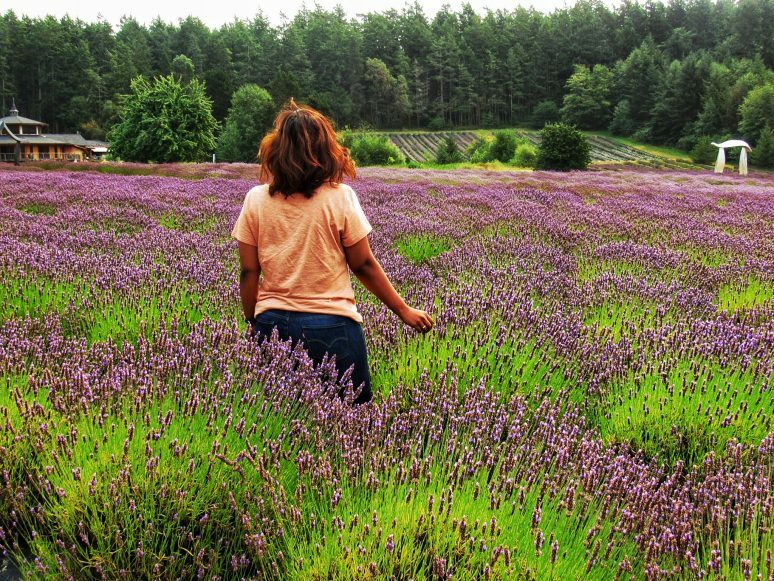 Get ready to experience everything lavender in Pelindaba Lavender farm, from souvenirs to ice cream. Everything here is made from lavender! And when you are ready, drive the scenic byway to Roche Harbor. 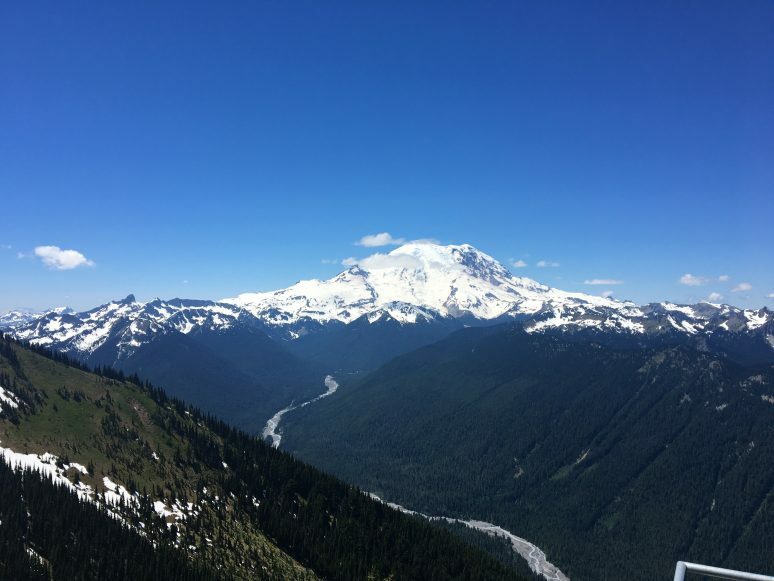 Mt Rainier is the highest mountain in the state and in the Cascades. It is also an active volcano and one of the most captivating sights to look at. On a clear day, it is visible from absolutely anywhere in the city. One of the most famous tourist attractions, a visit to this enchanting national park is a must. 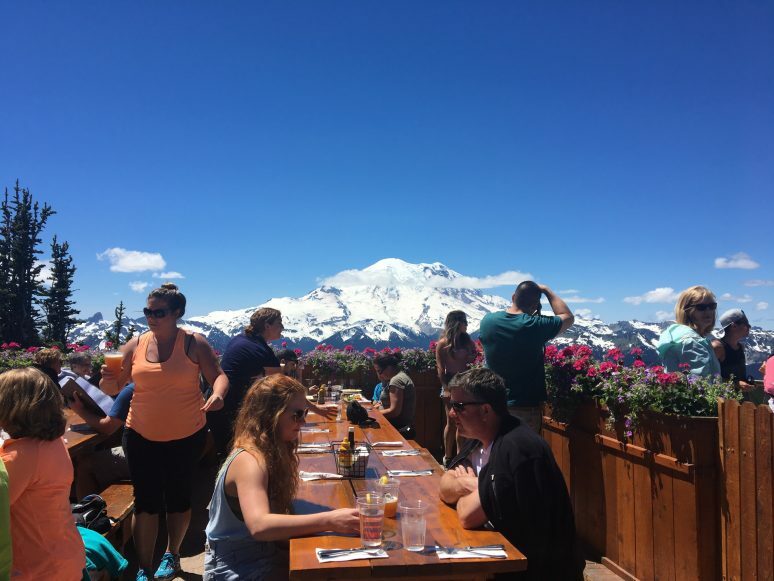 Take a gondola ride to Crystal Peak viewpoint and grab some lunch while you relish the view in front of you. Reflection Lake is another lookout point to see it’s reflection in the mirror-calm lake. 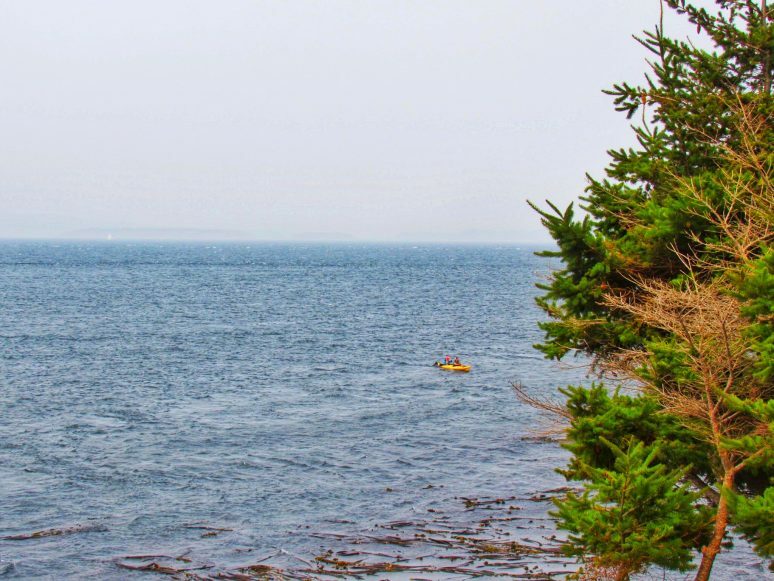 You can easily spend a weekend exploring the park, hiking or skiing. Don’t forget to dine at the Mt Rainier Railroad dining co. on your way back. A quirky restaurant serving delicious burgers is a must try. Lookout for the bright yellow skunk cabbage lighting up the wet lowlands on your way. We pulled over to get a closer look at them and there they were growing on the marshland, keeping it low key, looking lovely. I am a twilight fan and this was the first place that came to my mind when I was moving to Washington. To the west of Seattle is this small city of Forks. You cross Olympic National Park on your way here. 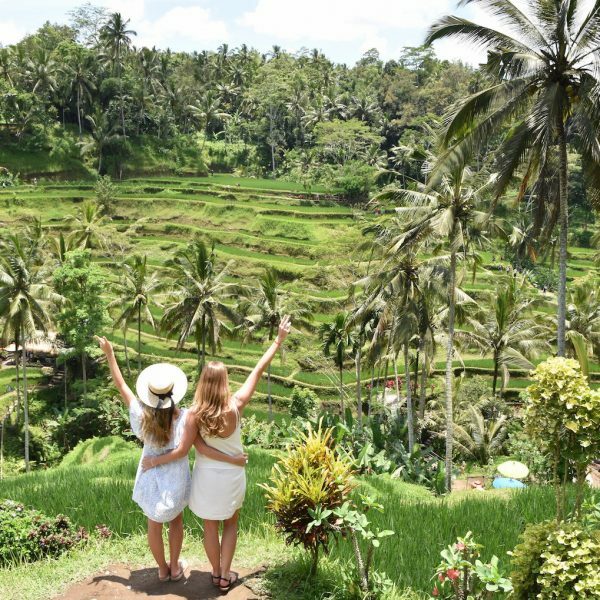 What I love the most about this place is the seclusion it offers, which makes it one of the best romantic getaways. 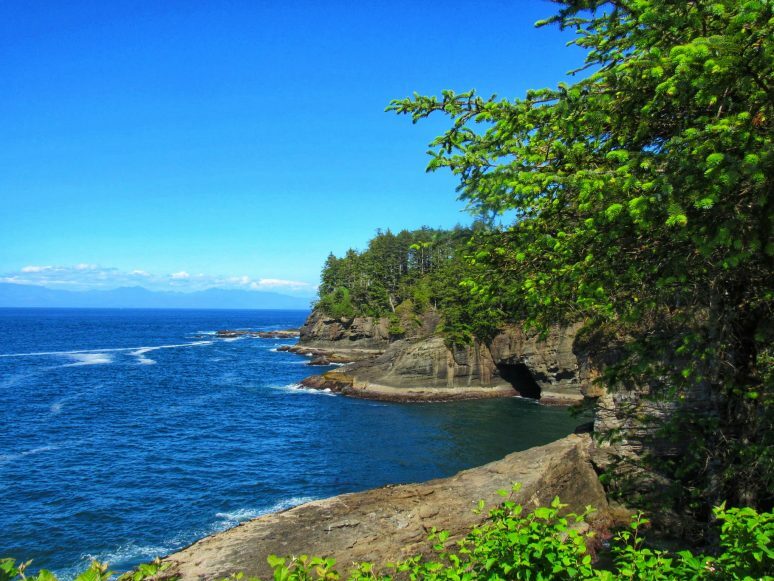 There are a variety of tiny houses to stay in and when you get bored from staying in, take a stroll on La Push beach or drive to the most Northwestern point of the USA, Cape Flattery. 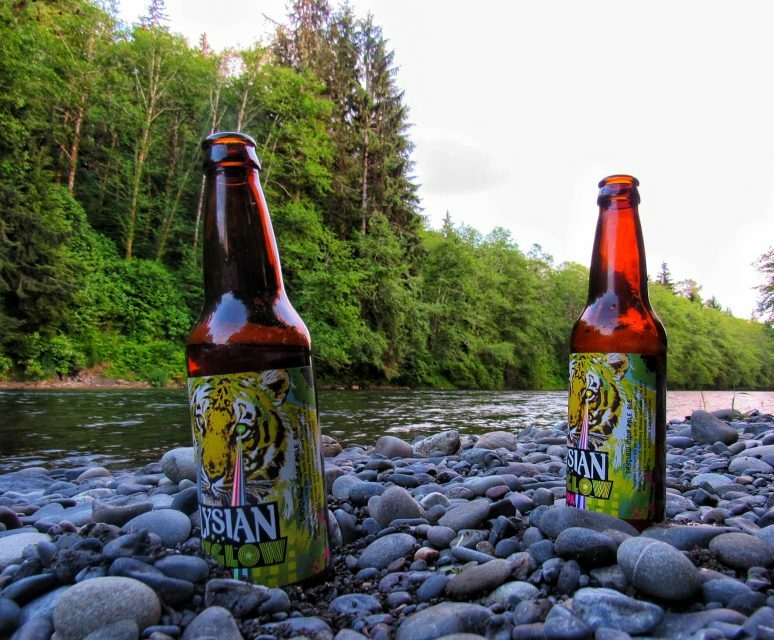 Grab a beer and disconnect (There is no network when you enter Neah Bay) from the world in Neah Bay and get a view of the beautiful Victoria Islands on your way. Located in the capital of the state Olympia, this is one of the most famous and most visited National parks. As soon as you enter the park, you will be welcomed by different shades of green and instantly notice the difference from the rest of the state. It almost feels like the world is slowly being transformed into the wilderness. 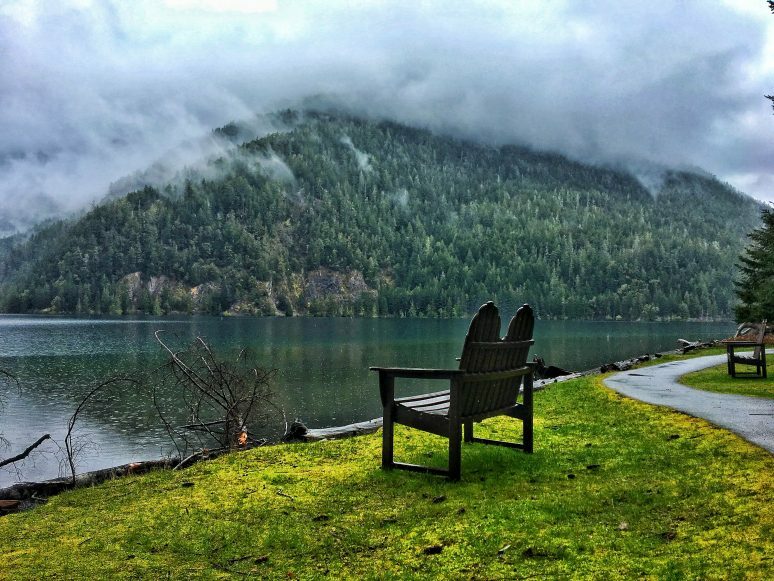 A couple of hours away from Seattle, you cross Port Angeles on your way. The view of Mt Olympus from Port Angeles on a clear day is breathtaking. 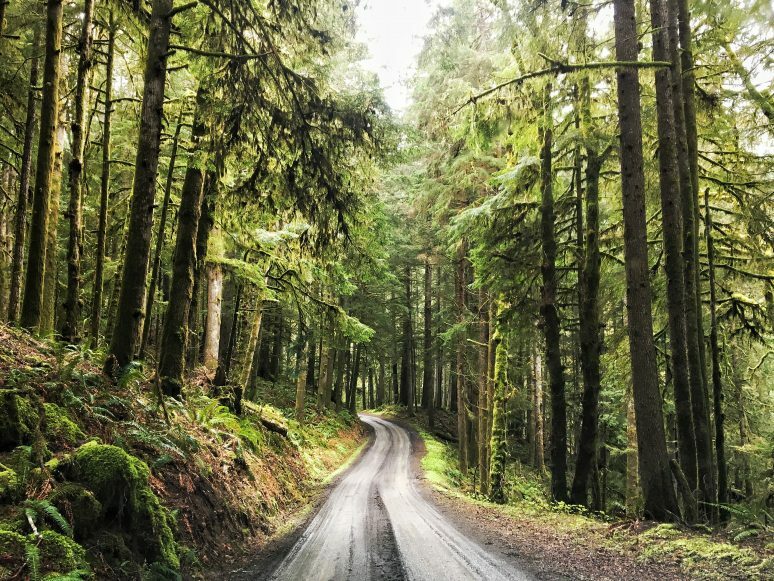 Driving to Whiskey bend, taking a dip in Elwha River, a comprehensive view of the park from Glines Canyon dam spillway overlook, kayaking in Lake Crescent, getting your feet dirty in Hoh Rainforest, immersing in Sol Duc hot springs are some of my favorite activities here. You really don’t want to miss these places if you are in Washington! Have you been to Washington? If you have any additional tips for our readers or questions please leave these in the comments below.